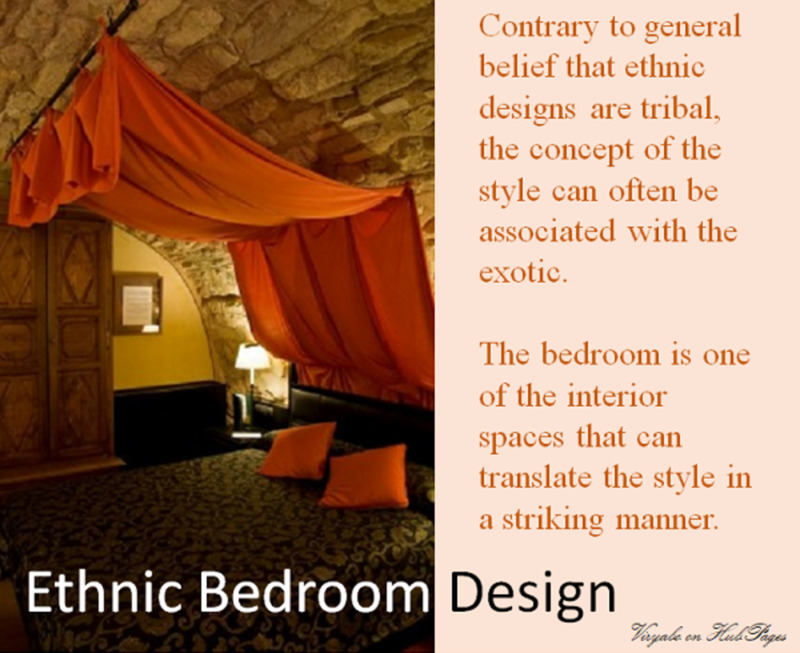 An ethnic bedroom design with stone wall/ceiling, and a brightly coloured bed canopy draped in tribal fashion. An ethnic bedroom design offers a number of style potentials that are not restricted to concepts related to African, North American, and Australian natives. Contrary to general belief that ethnic designs are tribal, the concept of the style can often be associated with the exotic. 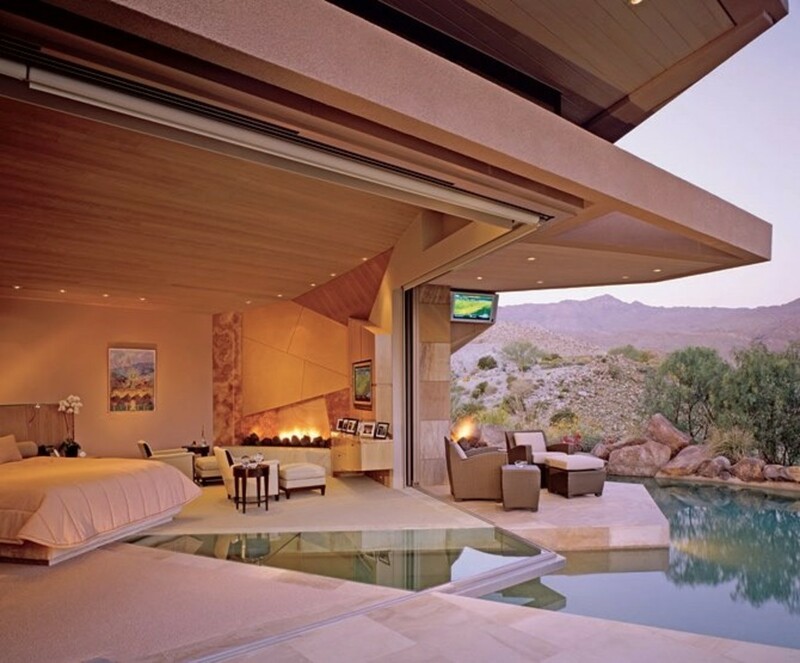 The bedroom is one of the interior spaces that can translate the style in a striking manner. From subtle earth tones and rough textures to vivacious colours and elaborate patterns, fashioning your bedroom in an ethnic style means that it is infused with both traditional and art-inspired features and elements typical of the style’s theme. Creating a bedroom design that depicts an ethnic theme is easy to achieve and fun to put together, and in a contemporary bedroom set-up, the trick is to ensure you complement your modern furniture with different local art, furnishings, and finishes. A modern bedroom with an ethnic touch. Notice the wall art, headboard, and bedspread - all ethnic elements, set in a modern bedroom with clean hard floor, modern wall sconce, and Venetian blinds. If you wish to create an ethnic theme, though some may disagree, it is best to keep within a particular theme than creating a mishmash of ethnic elements. For instance, if you wish to create a Mexican ethnic theme, mixing Mexican elements with traditional native American themes may end up giving the bedroom an undefined look. 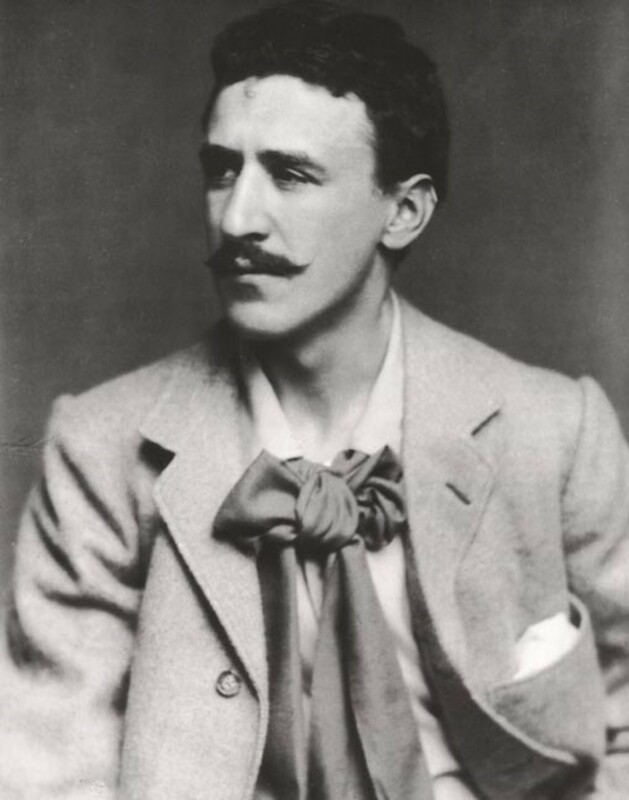 Using the word 'ethnic or tribal' may sound objectionable to people who don’t appreciate the artistic interest this holds for some designers, decorators, and homeowners, but being ethnically inclined means having an interest in the arts and crafts of ancient times that can be incorporated with modern features. An African tribal mask mounted on the wall (or wall hung talking drums). A heavily patterned handwoven rug on a stone floor finish. A couple of large floor pillows covered in rustic textiles or African prints. Stone or hardwood floor finish. Woven baskets and wood carvings. Pendant lights and table lamps with textured fabric, feathers or shades. 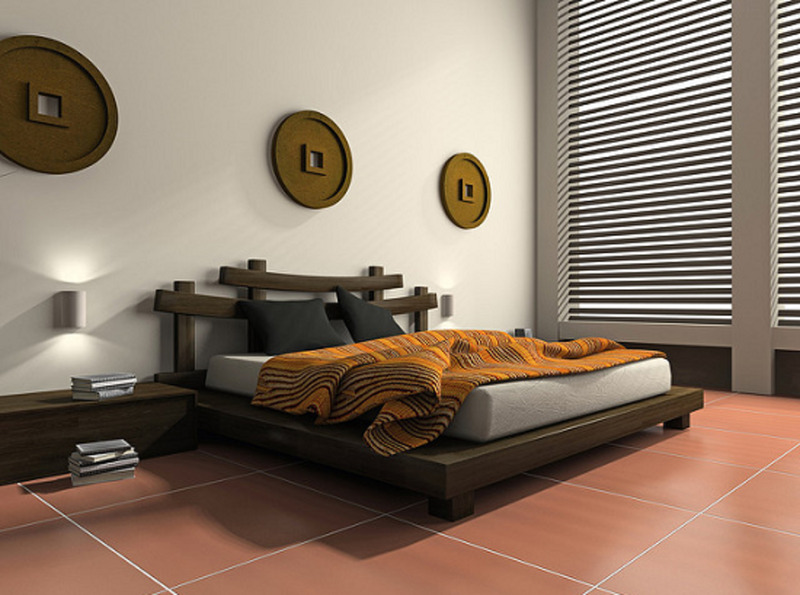 The bedroom design may contain all or a minimum of four of the listed elements to create an ethnic look. Traditional Japanese plants like bonsai and bamboo. Tabletop water feature. Elements of water are important in Japanese homes. 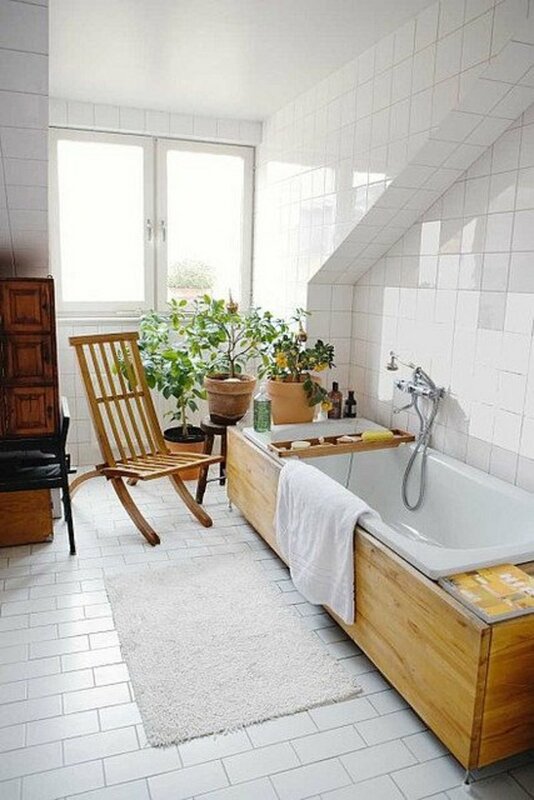 Bamboo wood flooring or stone tile floor finish. Simple bamboo window shades, or sheer, gauzy fabrics for curtain panels. Japanese style revolves around a clean, orderly, and uncluttered look, with all elements set together in a balanced order. Mediterranean ethnic theme - The Mediterranean style is primarily a fusion of several different sub-styles influenced by the colourful and classic Spanish influences, the Greek style with hues of blue, turquoise and plenty of white, and the old-world charm of the Italian style. 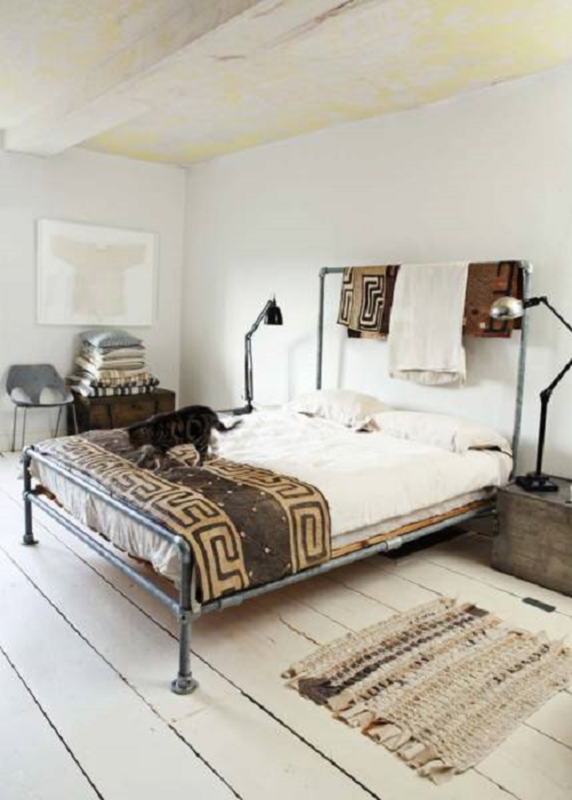 There is also the bold influence of the Moroccan style can take a bedroom in an entirely different direction. A white backdrop of walls and natural but vibrant earth hues. Wall art with images of Mediterranean scenery. Handwoven Ikats textiles and upholstery. Bedcovers made from Indian ethnic cotton. Mixing different styles can be dicey unless you want an eclectic theme. If you have to, don’t for instance, mix a Moroccan theme with other styles like Asian or Hispanic. Moroccan is an African theme so it's best to keep it African. A good mix will be a Moroccan theme with a dash of Safari East Africa. Blending elements of the American prairie bedroom design with some Latin American basics will give a surprisingly stylish look. Also, you can combine Native American with Prairie furniture décor and a couple of understated tropical themes. 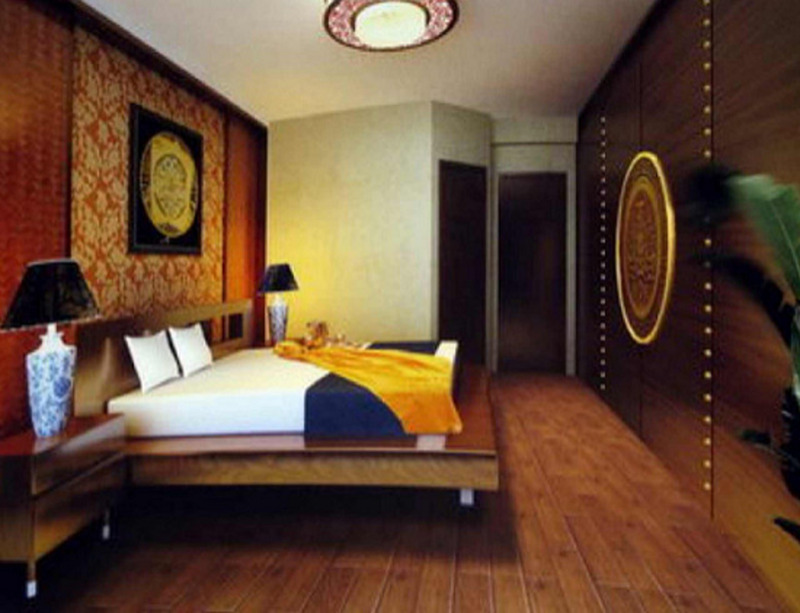 Luxurious bedroom setting in predominantly ethnic style. If you're not one for the total ethnic look, you can mix ethnic furnishings with modern bedroom furniture. Alternatively, you can have ethnic furniture enhanced with modern finishes and decor. But how can you create this effect? It's not that hard, considering there is no hard and fast rule on how to achieve a successful mix. But there must be a balance. Use beds, headboards, and/or chests with clean classic lines and then incorporate ethnic furnishings like an accent chair or two, with a carved stool or chest and a modern reading lamp. Spread a plain white modern duvet on the bed and arrange some African print throw pillows at the head of the bed. A faux animal print rug like zebra, leopard, or tiger prints at the foot of a modern sleek bed set. 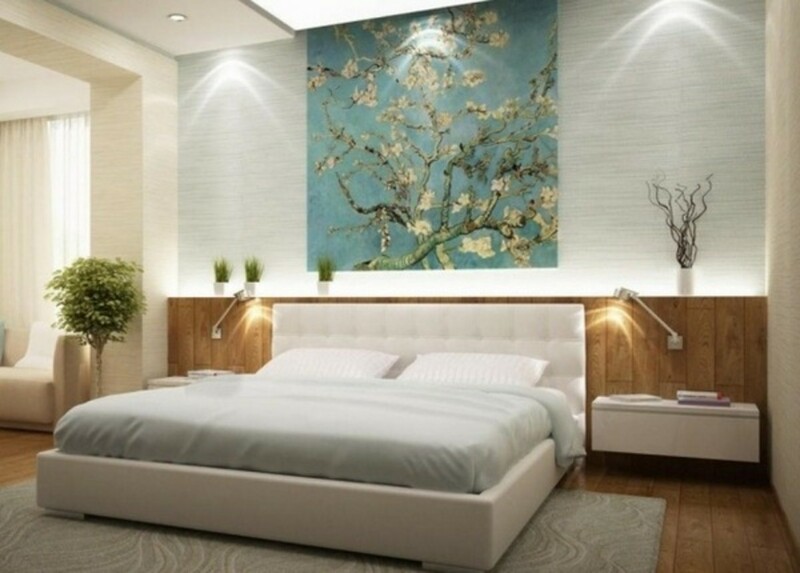 Hang metal artwork on the focal wall of the room which is usually at the bedhead. Add Moroccan pendants or fretwork lamps to illuminate the room by casting out patterns on the walls. Let everything else in the bedroom consist of modern furniture. Set an ethnic fretwork divider against the wall to serve as a headboard or use it as a screen to hide away an open wardrobe or clothes rail. Add ethnic texture to a modern bedroom setting through fabrics, window coverings, duvet covers, upholstery, wall art, or lampshades. Use decorations to replicate the modern or ethnic look. These decorations include vases, candle holders, tabletop ornaments, stone or wood carvings, aromatherapy oil burners, etc... Little details like these will create a theme that works well together. 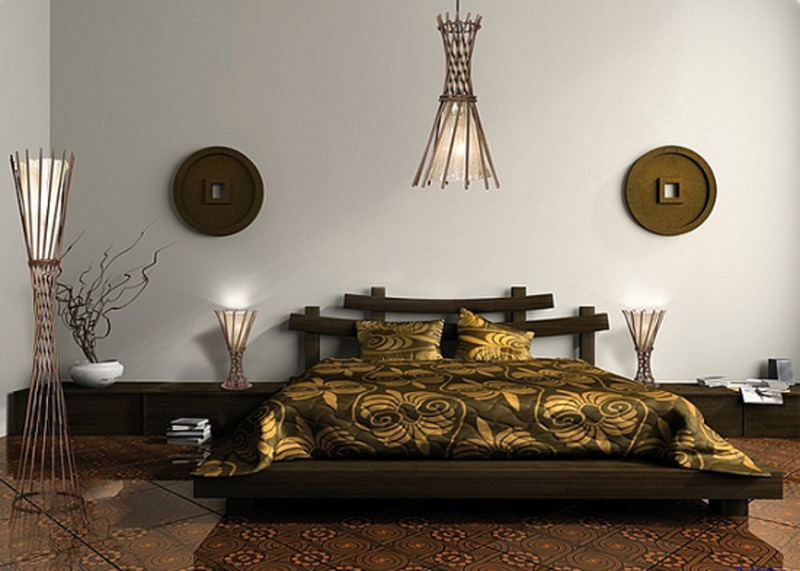 Ethnic oriental bedroom design with a blend of a modern style. Ethnic decor colours you can blend with a modern bedroom interior design include white, off-white, earth colours like ochre, burnt orange, bright red, deep shades of blue, all shades of brown, terracotta, and sand. All these warm hues will add a comforting cosiness to any bedroom fashioned after the ethnic style. A modern minimalist bedroom layout with a rustic floor finish, modern chair, and contemporary table/reading lamps. The setting is typical of an ethnic theme. Do you like ethnic theme interiors? That sounds like an interesting concept you've ended up with Suzanne Day. Sometimes putting things together over a period of time does bring up some of the best concepts . . . a personal, warm, and unique style. Thanks for your comments and vote. An interesting concept! I was often guilty of mismatching decor because I kept getting excited about different styles but couldn't afford to remake the room in one sitting. 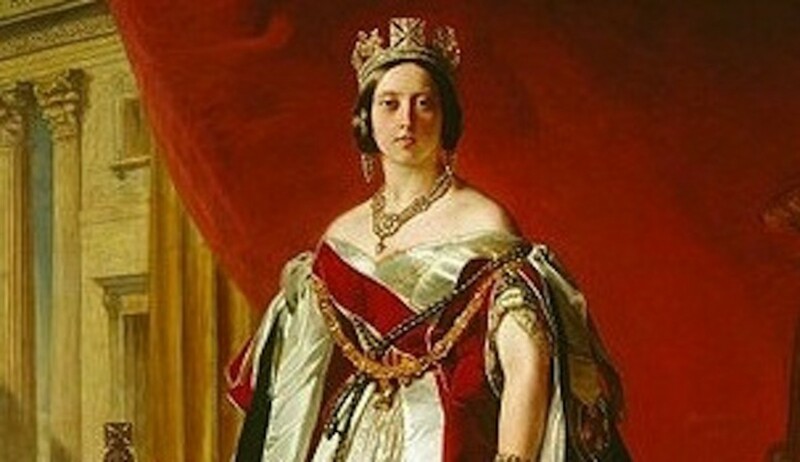 Thankfully, I have now found my signature style which blends light and silvery interesting textures in furs, with the colourful ornaments and things around the room (sort of a Swedish/prarie mix). Voted interesting! Hello Denise, its so, so good to see you. I was replying your comment earlier on my phone, but just lost the comments somehow. You can if the rooms are separate and don't flow into each other through wide wall openings, so it doesn't appear like a "residential museum" of sorts, ending up looking cluttered. I think the ethnic theme should work really nicely in a B&B, so long as it's lightly furnished with unusual ethnic pieces(or items inspired by ethnic), colour scheme of rich earth tones, and a nice airy look. No clutter. People love the unusual, the exotic, as long as its different and unique, they are usually sold. It can even become a signature theme for a hospitality business. Thanks so much for the rating Denise. PS - I'm still working on the gypsy theme idea Dolores gave. I really love it too. I've missed reading your wonderful interior design ideas, Viryabo. I love Dolores's idea about the Gypsy look, also. I'm wondering if it's wise to mix different ethnic groups throughout a house? I understand, not to mix too many in one room, but separate rooms? Actually, that's one way to decorate a B & B if one wanted to. I love the creativity of interior design, but don't have the 'cash' to do much decorating. Maybe when I resettle in Michigan. Rated up/A/I/U and sharing. Love the idea of an ethnic bedroom! I think maybe you could mix some ethnic designs to create a Gypsy or Bohemian look!